This entry was posted on 20/07/2018, in Advice and Tips for Life, Analysis, Anecdotes, Conspiracies, Corruption and Cheat, Crime and Cruelty, News | Newsmakers and tagged CKD, Glyphosate, governance. Bookmark the permalink. Some smart guy who first stuck the label “Good Governance” on this unpalatable coalition perhaps guessed it could be the joke of this generation. Or perhaps thought once the Rajapaksa regime was replaced by this motley group of politicians, anything was “Good Governance”. Whatever way the “Good Governance” label came to be stuck on it, three years plus six months under it has only been horribly peaky. It also is a Government where the Cabinet of Ministers has to endorse whatever the President proposed at Cabinet meetings, but then could also contradict and oppose the Cabinet endorsement publicly, ignoring collective responsibility. Will a Government as ineffective as this and eternally running into contradictions on almost every decision it makes whether collectively or as decided by the President, leave a future for this country? All that seems “Good Governance” for some “Anti Rajapaksa Quacks” who say that proves how democratic this “Yahapalanaya” is. IF “Yahapalanaya” is all about messing up everything right royally, then what’s the fallout with this type of a fractured and tattered Government? A few recent decisions of this Government seem to explain the hysterics of this Government. Two months ago in early May, Finance Minister Samaraweera said fuel prices would henceforth be decided every two months on a pricing formula in relation to global market prices based on the “Singapore oil price index”. He said it was being discussed with relevant Ministries. With that, local prices would increase when global market prices increase but come down when global market prices fall. On that basis, fuel prices were increased on Thursday, July,5 midnight. Motorists refuelling early morning Friday, July 6 were perhaps charged on the new price, or they had to be charged on the new price as the fuel price increase was effective from midnight. This Government policy was not an issue discussed at length in the media or among Colombo middle-class circles. Within those circles, issues like “2020 Presidential Candidates”, “PTL cheques” and “Gota’s US Citizenship” are more important though they don’t in anyway provide answers to serious problems the society is grappling with. Yet how it could surprise and shock the President of the country, who chairs weekly Cabinet meetings, is more shocking than even the midnight price hike. A “shocked” President orders prices to be reversed immediately. With CPC authorities pressed to contact individual fuel stations to say prices should not be increased, the confusion left a schizophrenic society. Those who may have been charged the increased price in the early hours of the morning to be told many hours later the prices have been reversed would have left an annoyed and a spitting consumer. This left the question “what is Basic Governance?” In this ‘paradise island,’ it means the President decides without any consultations with Cabinet ministers and on his own to reverse his own Government’s policy without even explanations. Leaving the adjective “good” aside, “Governance” with President reversing decisions as he pleases, is not about whether the decision (s) is ‘just and fair’ by the people, but how decisions are made by a Government that promised accountability and transparency.- A government that was guaranteed by leaders of foreign-funded elite organisations in Colombo as “definitely better” than the previous Rajapaksa regime. The decision of the Finance Ministry to restructure fuel prices on an accepted pricing formula was in the public domain for two months. If the President was concerned, he could have taken up the issue with the Finance Ministry or at a Cabinet meeting. But he proved, he wasn’t concerned and therefore was not aware of such a proposal. Far worse is when the price increase is allowed once again after six days without any explanation by the President or his Media Secretariat. It gets activated as any routine decision. And then, everyone else goes about business as usual. The lifting of the “Glyphosate ban” is another mockery of the same type. In Sri Lanka, the cry for banning Glyphosate was more of a Sinhala Nationalist demand than an actual environmental and health issue. Scientists and academics of repute have consistently contested and challenged these demands made by Ven. Athuraliye Rathana Thera and another who denounces everything Western including medicinal science. One who extols on primitive spiritual practices and rituals for healing and yet is accepted as an academic at the Rajarata Medical Faculty by the UGC and never opposed by the GMOA as well. That Glyphosate contributes to Chronic Kidney Disease of Uncertain Aetiology (CKDu) has never been clinically proved. CKDu is prevalent in and heavily restricted to the Anuradhapura and Polonnaruwa Districts, but is totally absent in districts like Ampara and in districts with large tea plantations and rubber estates. Thus their lobby could not convince even the avowed Sinhala nationalist leader President Rajapaksa to ban ‘Glyphosate’. Despite all contradictions and controversies, President Sirisena in 2015 accepted the Sinhala nationalist demand and banned the total use of Glyphosate. There were many in the Cabinet who disagreed. Plantation Minister Navin Dissanayake kept arguing the ban would have a drastic impact on tea and rubber industries. A “Pesticides Technical and Advisory Committee” was appointed to advise the cabinet of ministers that handed over their report in March 2018. It was reported the expert committee had concluded Glyphosate cannot be held as the cause for the widespread presence of CKDu. The ban on Glyphosate use in tea and rubber plantations was lifted in March for 36 months after discussions between the President and the PM, it was reported. Meanwhile, Rathana Thera told media, the President had assured him personally the ban would remain for at least another year, before a decision was made and that Rathana Thera was working with the Presidential Secretariat to have a “toxic and poison free country”. Yet, in July a Gazette Extra Ordinary lifted the total ban on Glyphosate use in the country, based on the Pesticides Technical and Advisory Committee Report.If the President thought it necessary then in 2015 to ban it, there needs to be a good reason for him to agree to lift the ban 03 years later with CKDu still an unsolved issue. President needs to tell the people, at least his own NCP voters, though he banned the use of Glyphosate in 2015, there seems to be no necessity to continue with the ban now based on the experts’ committee report. Or that he has nothing to do with the lifting of the ban and the Gazette extraordinary No.2079/37 dated 11 July 2018 was signed by the Registrar of Pesticides. There is now Minister Senaratne publicly disagreeing with the lifting of the ban and arguing an official cannot overrule a cabinet decision. Another mess?There is also a total contradiction in what this Government does and what it says about disappearances. After over a year’s delay, the “Office of Missing Persons” (OMP) was finally established with the UNHRC Sessions coming up next September. PM Wickramasinghe is on record telling Parliament on January 6, 2017in reply to a question raised by JVP leader Anura Dissanayake “As per Police records, there is no information relating to persons who had allegedly disappeared during the ethnic conflict. However, they may have left the country illegally through unconventional channels,” That brings this Government to the same page with Mahinda-Gota duo. Then why an OMP? The latest is the controversy on President Sirisena’s announcement he would sign for capital punishment to prisoners who continued drug trafficking from their prison cells. His decision announced at the cabinet meeting was endorsed unanimously, but ran into immediate opposition internationally, nationally and within the Government as well. 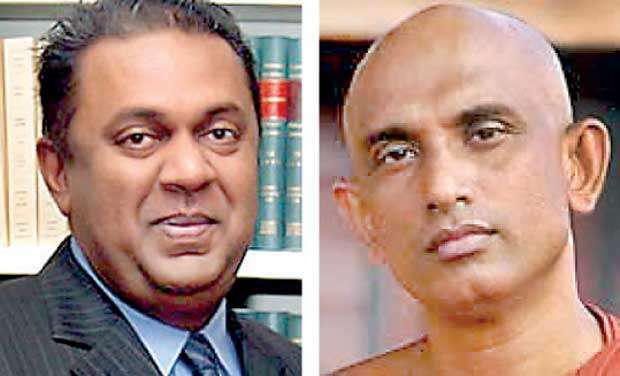 Discarding collective responsibility, Ministers Senaratne, Samaraweera, State and Deputy Ministers Ajith Perera and Karu Paranavithana have all opposed the death penalty. The HRCSL and the BASL too stood firm against capital punishment. A few Buddhist monks contradicting Lord Buddha gave President their consent to implement the death penalty to “eradicate drug abuse”. Not surprisingly, Cardinal Malcolm Ranjith was one of the first religious leaders to endorse the President’s decision, ignoring Pope Francis’s statement that “the death penalty is contrary to the Gospel, however, grave the crime committed”. There is now a deafening silence on the death penalty. It would be another OMP that could not have any implementing despite the early hype. The whole of 2018 spent so far, this Government had contradicted itself and has exhibited its inability to reach a consensus in taking decisions and implementing them. A Government as groggy as this Government, will not be able to leave a future for the people of this country, not even that little bit the Rajapaksas could not gulp down whole. « Are teachers a committed lot?